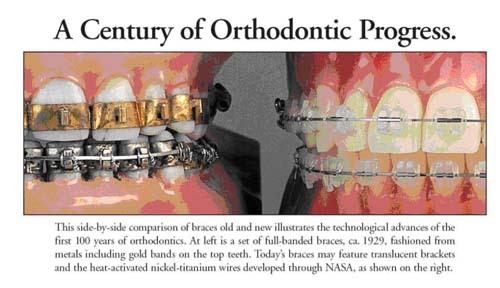 Orthodontics timeline…for you history buffs, did you know that archaeologists found crooked teeth in human remains dating back 50,000 years as reported by Norman Wahl in the AJODO ? Like days of old, the aesthetics of teeth thru time has always been the primary concern when it comes to our smiles. 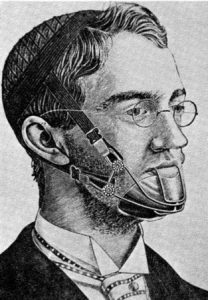 However, it was the occlusion (bite) that gave orthodontics its scientific foundation and why it has progressed into advanced technology available today with traditional metal braces, clear braces, and clear aligners called Invisalign. While very crude in nature to orthodontic treatment today, Egyptian mummies were found with metal bands around their teeth and archaeologists believe they used cat gut to tie the bands together to move them. 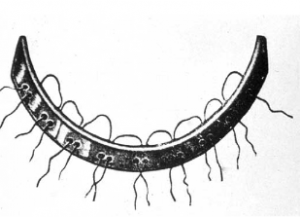 Primitive orthodontic appliances were also found with early Greek and Roman artifacts. If you or someone in your family is considering orthodontic treatment, contact our Middletown or Newark DE office for a complimentary evaluation. At Honig Orthodontics we offer the latest in leading edge orthodontic treatment to help you create the beautiful smile we all deserve.